The Belgium international is nearing the end of his seventh campaign at Stamford Bridge, but the playmaker has just over a year remaining on his contract. Hazard has been frequently linked with a switch to the Bernabeu, and Real head coach Zinedine Zidane has recently reiterated that he is an admirer of the player. According to Marca, the two clubs and Hazard are close to coming to terms over a transfer which will be finalised during the summer window. 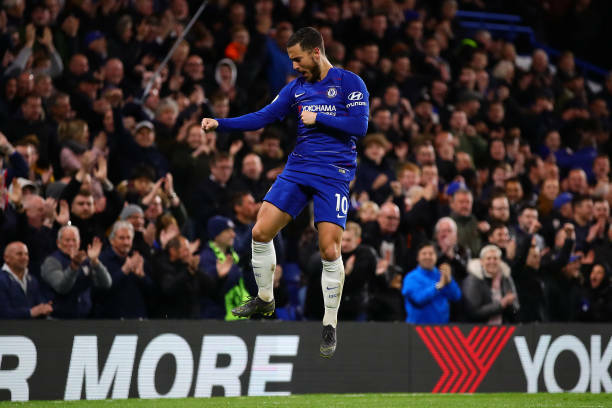 The report suggests that Hazard is ready to sign a six-year contract with the La Liga giants, although it remains to be seen how much Chelsea will receive for their star man. The 28-year-old has enjoyed a productive campaign in the Premier League, contributing 14 goals and 12 assists from 31 appearances.